The Best of Scotland The What? vol 1, The Scottish Music Shop - The Best Selection of Scottish CDs and Scottish DVDs. 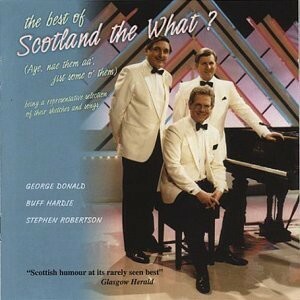 Over 77 minutes of laughter and song from George Donald, Buff Hardie and Stephen Robertson. Fantastic Doric humour.